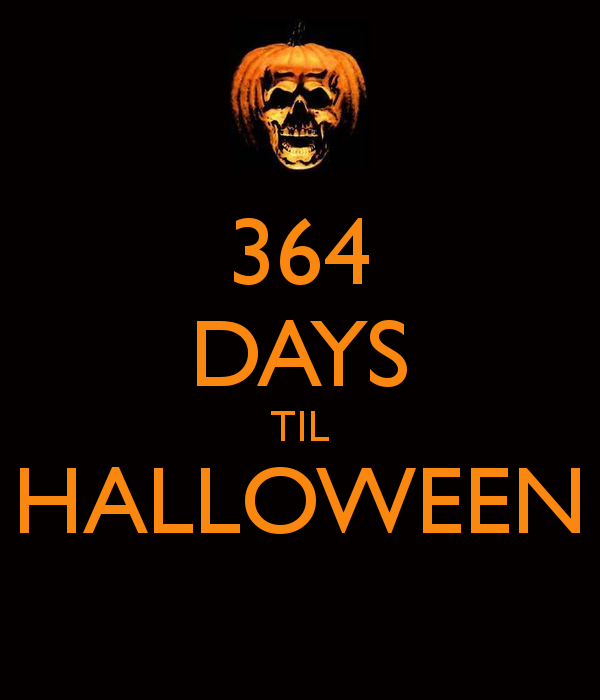 Every November 1st I go through somewhat of a Halloween hangover. Maybe the sensation is best described as Halloween withdrawals. 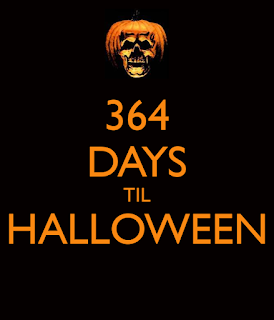 All throughout October, I'm constantly pumped up about the big day---and then Halloween comes and goes. I always have a great month and a great holiday, but a sort of depression or melancholy sets in immediately after. As a result, I get pretty unmotivated when it comes to the blog and maintaining Theresa's Haunted History Facebook page. Therefore, I've decided to make it a point to post some fresh content EVERY day to Facebook. I've done daily themes before with success, so I'm hoping you all will enjoy this month's round of special posting. I'll still be posting links to my new blog entries, news stories, and anything else I find interesting, but will be implementing the plan below in an effort to stay motivated and on point. Here's a look at what to expect if you follow Theresa's Haunted History on Facebook! Mondays: Monday will continue to be Monday Night Debate night. Each Monday evening, I will be asking YOU to weigh in on some of the more controversial topics making up the paranormal field today. There are no right or wrong answers---I just want to see some healthy discussion and sharing of opinions. Feel free to speak your mind, provide evidence for your reasoning (links, etc. ), and share your knowledge. All I ask is that discussions remain courteous and open-minded. Tuesdays: Tuesday will continue to be Tuesday Night Vocabulary. I will continue to share jargon from all areas of paranormal study, including but not limited to, ufology, cryptozoology, parapsychology, etc. These words will range from common concepts that every paranormal enthusiast/investigator needs to be familiar with, to really off-the-wall terms that will never come up in normal conversation---but will go a long way in making you SOUND like an expert in the field. Wednesday: I'll be bringing back West Virginia Wednesdays! Each Wednesday evening, I'll spotlight a different haunted location within the Mountain State. Thursday: Thursdays will officially be Throwback Thursday. There are a lot of really cool old stories of ghosts, monsters, and all things creepy from vintage newspapers. Each week, look for a new story originally documented over a century ago. Friday: Friday will now be Friday Film Night. Each Friday evening, pop up some popcorn, snuggle up on the couch, and get ready for some spooky films! There are so many great FREE documentaries on a variety of paranormal topics available through various places online. I'll be sharing and reviewing some of MY favorite recommendations. Saturday: Saturdays will now be devoted to spooky quotes. Each Saturday, I'll post a quote about some aspect of the paranormal from a celebrity, scientist, paranormal investigator, writer, etc. Get inspired by what others are saying about the field. Sunday: Sunday will know be The Sunday Skeptic. Each Sunday evening, I'll be posting some sort of article, video, graphic, or writing on the paranormal that features a skeptical viewpoint. It is impossible to receive a comprehensive education on ANY subject without examining it through all viewpoints, and the paranormal is no exception. The information posted will be designed to get you thinking and questioning. 1. Question of the Day: I want to hear from you! Every day at noon I'll be posting a generalized question asking you about your paranormal beliefs and experiences. Please weigh in with your opinions as often as you'd like! 2. Creepy Photo of the Day: Each day at 3pm I'll be posting a creepy photo for your viewing pleasure. These photos might be alleged ghost photos, photos from spooky old buildings, or anything else I find especially interesting.